Musician/Producer-entrepreneur Chris Theberge is a GRAMMY-nominated recording artist with over 20 years of performance, touring and music industry experience. He has a background in entertainment marketing and is a specialist in Afro-Latin & Yoruba music & culture. Raised internationally as the son of Argentine and U.S. diplomats, Chris lived in Managua, Nicaragua and played drums in Santiago, Chile through his teenage years. Returning stateside, he moved to Washington D.C and worked in the inmate music program at Patuxent Prison and Lorton Correctional Institution, performing on drums in local Jazz groups and in D.C’s homegrown Go-Go music scene. Graduating from Boston University with a business degree, Chris moved to New York City where he helped run the innovative TouchTunes interactive music marketing firm, establishing a joint-venture in Japan and providing marketing programs and market research to label clients including Sony, Warner, Universal, Polygram, Tommy Boy and Interscope. In NYC, Chris met Puerto Rican Latin jazz Legend Jerry Gonzalez and began his studies of Afro-Latin drumming, gigging nights on conga drums and DJ'ing his radio show on WNYE FM 91.5 called "An Hour of Drums." He also began his travels to Cuba & Southwestern Nigeria where he immersed himself in traditional drumming and culture. In the early 90's Chris helped co-found the NY-based jazz/funk group Groove Collective. As early pioneers of the emergent jamband and acid jazz scene, Groove Collective released albums on Warner, Giant Step, Universal, Shanachie, and Impulse!/Savoy. With Groove Collective, Chris embarked on a decade long international touring and recording career, performing at Montreaux in Switzerland, Red Sea Jazz, North Sea Jazz, Red Rocks, WOMAD New Zealand, Japan’s Mount Fuji festival, Paleo Festival, and Blue Note clubs in New York, Milan, Tokyo, Osaka & Nagoya. In 2007 Groove Collective was nominated for a GRAMMY! and Chris turned his attention to production and began recording with Nigerian, Cuban and Puerto Rican master drummers, teaming up with his friend and mentor, percussion superstar Giovanni Hidalgo. It was 2010 when Chris founded Music Works NYC and began the process of finding and building a studio facility to collaborate with other artists and provide recording and production services. After only a few years of operation, Chris was blown away when his childhood drumming hero, pop icon Phil Collins walked through the door and ended up renting his main studio for the next 2 years. 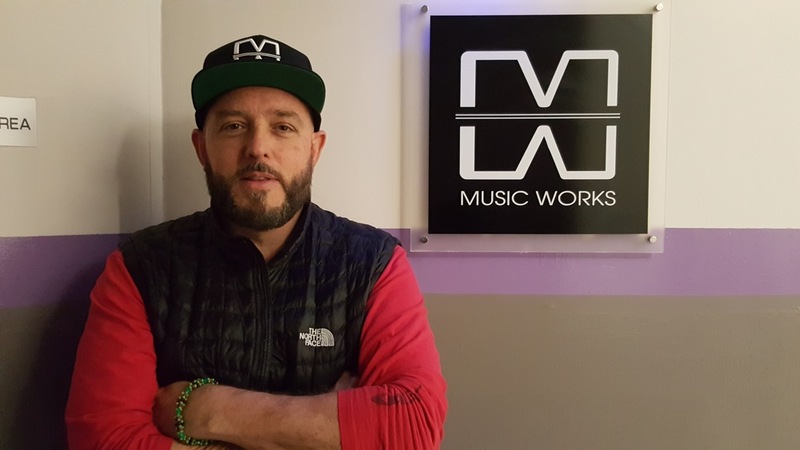 With Music Works Studios thriving, Chris, along with his business/creative partner Nina Creese, have set their sights on music production, distribution, artist development, and helping others to navigate the music industry. Nina Creese is an award-winning producer/engineer and singer/songwriter, placing runner-up in the recent iWrite Songwriters Competition in NYC and her latest single has received placement in the Showtime Series: “The Chi”. Prior to her role in Music Works, Nina “earned her chops” growing up around the music scene in Brooklyn, NY and working in many of Brooklyn’s leading music studios. She has been on the cutting edge of hip hop, rap, and R&B engineering since 2003. As she brings experience and expertise from both sides of the microphone, Nina’s passion is to identify, nurture, mentor, and develop emerging artist’s style and sound, performance and career trajectory.